I found myself inside the San Miguel Corporation head office on a Monday morning. I was at their cafeteria waiting for a meeting. It was about noon and I was thirsty. A few days ago, the San Miguel Beermen celebrated winning the PBA Philippine Cup here. It felt like such a struggle for the Beermen to reach the top again. They had not won the all-Filipino crown in 14 years. They hadn’t won a PBA title after the 2011 PBA Governors’ Cup. On paper, it’s hard to understand why this team isn’t winning regularly. They’re stacked to the brim. In fact, it’s almost uncanny how a team that strong was formed in the PBA. While I was thinking about how San Miguel Beer formed it’s core, I chanced upon an interesting tweet. Interesting, I thought. A few weeks ago, it was GlobalPort, Barako Bull, and San Miguel Beer that rotated point guards. Now, it is still San Miguel Beer and Barako Bull, alongside SMB’s sister team Ginebra. 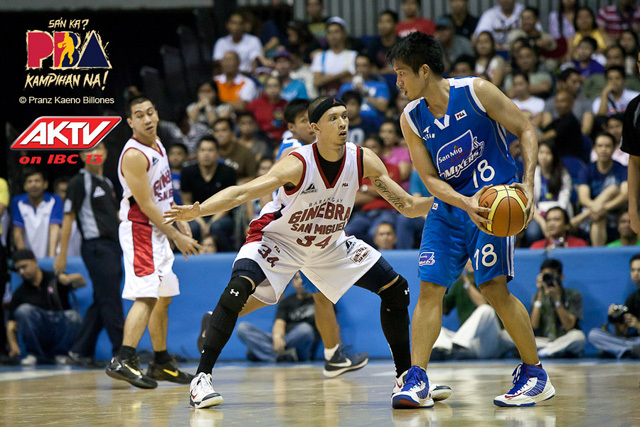 In the PBA, sister teams are disallowed from trading directly with each other. This is to safeguard the balance of the league. If an owner has two teams, he could just send all his assets to one team and forget about the other. The ban on direct trading prevented this from happening, but there is a loophole. Conduits. Barako Bull acted as such in this trade. They joined the sister teams SMB and Ginebra to make this trade legal, pending Commissioner Chito Salud’s approval. “Cool,” I thought. Barako Bull gets a young center for an older one who’s at the sunset of his PBA career. Barako Bull might have just outsmarted the sister teams to actually win this trade. Bored out of my wits and still thirsty, I started browsing through the PBA’s transaction page to see what other trades Barako Bull has been involved with last year. December 8, 2014: Mick Pennisi to Purefoods for Isaac Holstein and Ronnie Matias. 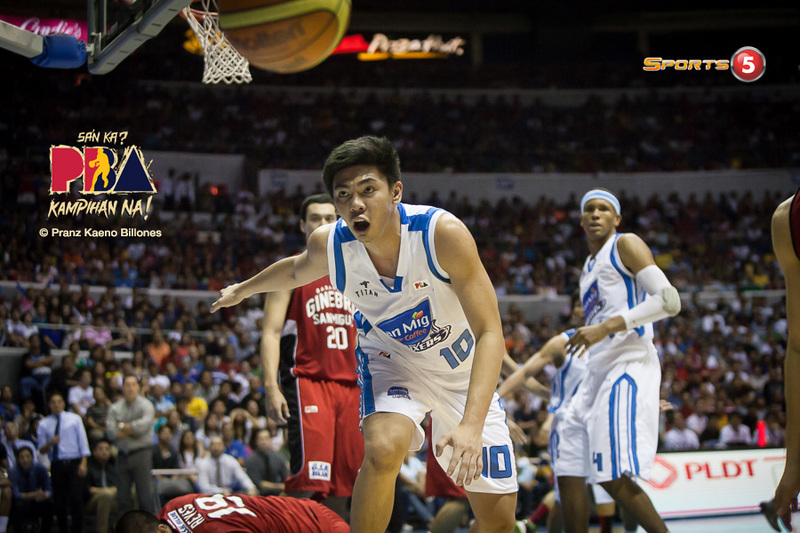 November 11, 2014: Jeric Fortuna to SMB for Paolo Hubalde. October 24, 2014: Released David Semerad. Picked up by SMB. August 24, 2014: Ronald Pascual to SMB for Jojo Duncil, Chico Lanete, and Gab Banal. I started to see a pattern, so I continued. James Forrester (could have totally been Terrence Romeo or RR Garcia, but I digress) to Ginebra for Rico Maierhofer and Willie Wilson. 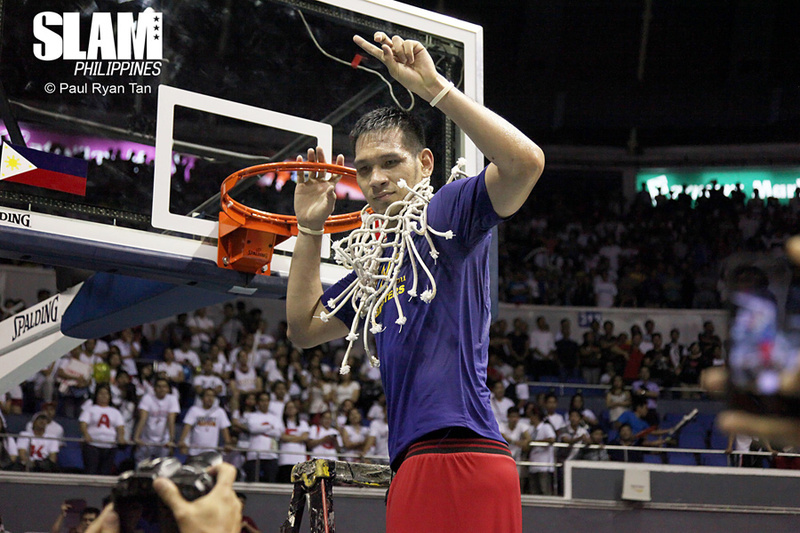 Eman Monfort to Ginebra for Rob Labagala. Allein Maliksi to Purefoods for Wesley Gonzales and Chris Pacana. Doug Kramer to San Miguel Beer for Dorian Pena. Barako Bull’s 2013 first round draft pick turned into Japeth Aguilar for Ginebra. Ronald Tubid to San Miguel Beer, Mac Baracael to Ginebra, Alex Mallari to Purefoods. Aside from this, some of the best picks from the SMC group have been from Barako Bull. June Mar Fajardo for SMB. Chris Ellis for Ginebra. Ian Sangalang and Justin Melton for Purefoods. All of these were originally Barako Bull picks. I don’t care what the hell they did in all of trades above, if they kept these picks, and sported a first five of Fajardo-Sangalang-Ellis in the frontcourt with Melton and RR Garcia, whom they have now, they’d be an exciting and young core that would be a champion in a few conferences, even if there are no names on their bench yet. With all that they gave away, common sense would dictate that Barako Bull should be stacked with assets right now, but the sad reality is that they’re not. They’re still just a quarterfinals team. SMB just won a title. Purefoods won four straight including a Grand Slam. Ginebra remains the PBA’s ‘on paper’ champion, while Barako Bull is still down there in the cellar, rescued from being at the very bottom by the entry of KIA and Blackwater. Barako Bull, in the past handful of years HAD some of the best assets in Philippine basketball but they decided to give all of that away for the team they have now. It’s uncanny where all of these players ended up. By sheer luck, three teams who all call the place where I am right now home reaped the most benefits from the misfortunes of Barako Bull. For Ginebra, Forrester, Urbiztondo, Monfort, Aguilar, Ababou, Ellis, and Baracael. For Purefoods, Melton, Alvarez, Sangalang, Mallari, Maliksi, Pennisi, and even Mark freaking Barroca. For SMB, Maierhofer, Fajardo, Tubid, Kramer, Pascual, Fortuna, Semerad, and Lutz. Purefoods got their big man for the next decade in Sangalang, backcourt twin terrors in Barroca and Melton, and a scorer Maliksi who’s just waiting for his time to shine behind James Yap and PJ Simon. SMB got an athletic wing and a crucial part of their Game 7 performance in Lutz, and the single most dominant player in the entire league and someone who’s on pace to take home more MVPs than Ramon Fernandez and Alvin Patrimonio, June Mar Fajardo. Among all those trades, Barako Bull lost Maliksi, Maierhofer, and Pascual for six players who are no longer in the league. At this point, after browsing through all that stuff, di ko na natiis. Kailangan ko na talagang patulan…ang uhaw ko. So I stood up, walked to the refrigerator to see what’s the perfect way to quench my thirst. And there it was, in all it’s splendor. 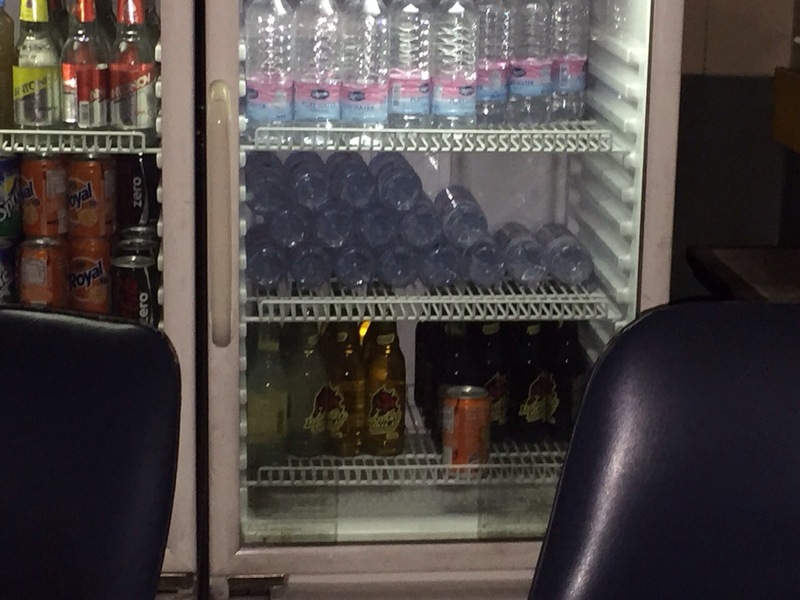 Behind SMC-owned Magnolia Water: Barako Bull energy drink. I took the bottle and ran to my meeting. I’m sure they won’t mind. It’s not like they aren’t used to seeing Barako Bull here.